I'm hosting Christmas this year, so I’m polishing up on ALL the hosting skills. And what is the number one holiday necessity?!? The cocktails! Luckily, I’ve got Solo on my side, and we’re partnering to show you how to make this ultimate holiday cocktail! 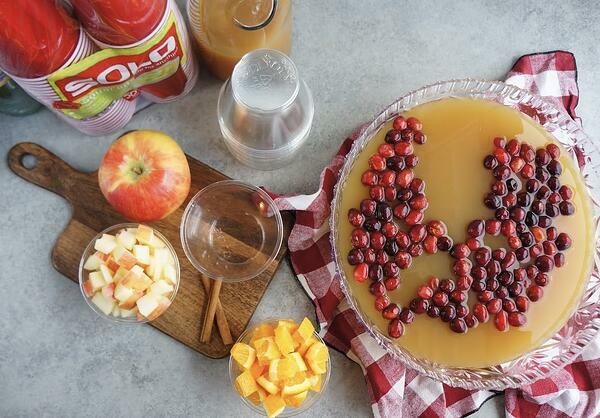 My Spiced Apple Cider Sangria pairs perfectly with your meal, all the sides, and some of those difficult relatives. 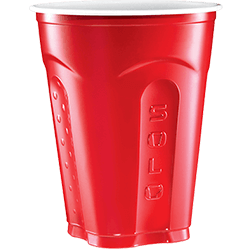 I love using their clear 9 oz plastic cupsand the 9 oz red party cups are also the perfect size add a festive touch! 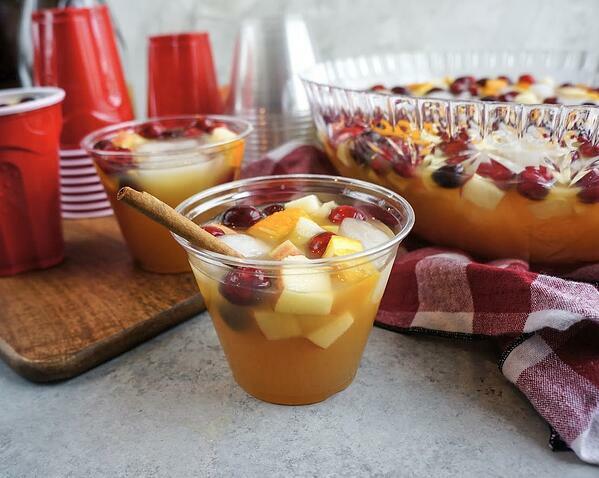 What are the ingredients in Spiced Apple Cider Sangria? Apple juice and apple cider are both made from apples, but there is a difference between the two. Fresh cider is raw apple juice that has not undergone a filtration process to remove coarse particles of pulp or sediment. … Cider needs constant refrigeration because it is perishable. 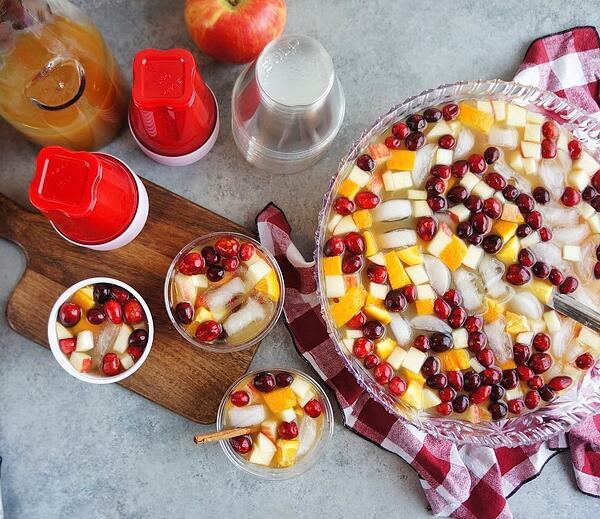 I’ve used sauvignon blanc in this Spiced Apple Cider Sangria because it’s fruity undertones. If you can’t find or don’t like Sauvignon Blanc, Pinot Grigio is an excellent substitute! 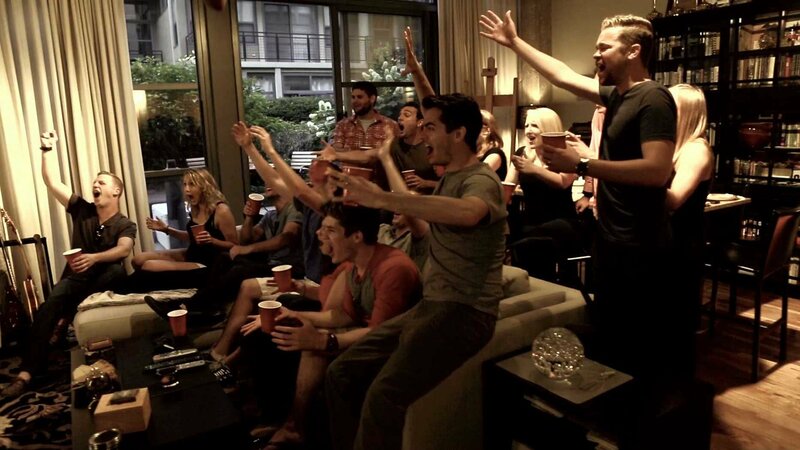 Want to really impress your guests? Have a cocktail station set up and before pouring the apple cider sangria, rim the Solo cup! Rub an orange wedge around the top of the glass, then dip it in a mix of cinnamon and sugar. Always garnish with a cinnamon stick, or an orange slice if you’re feeling extra festive. I encourage it! The longer the fruit and cinnamon sticks have a change to marinate with the other ingredients, the better it will taste! If this cocktail is a last ditch effort to ease holiday tension, you can get away with making this an hour before serving. However, I recommend letting the ingredients chill for at least 4-8 hours, or up to 24 hours. In a large bowl or pitcher, add cider, carbonated water, wine, cinnamon, and cinnamon sticks. 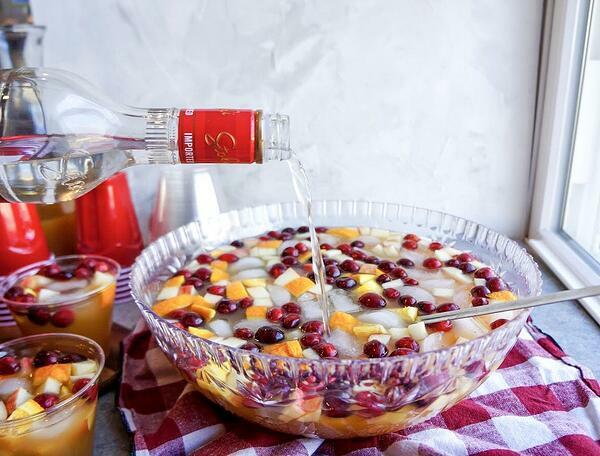 Chop apple and oranges and place in the bowl or with cranberries. Add in vodka (I start with 1/2 cup), mix well and taste. Add sweetener if desired. Let flavors marinate in the fridge for up to 24 hours, 1 minimum.